Sveiki. 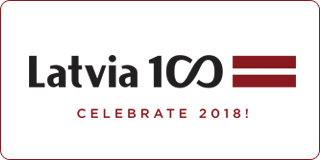 The Latvian and Lithuanian Communities of Indianapolis will be celebrating 100 years since Independence together at the Pacer game on Sunday December 16. The Indianapolis Latvian Folk Dance Group, Jautrais Paris, will be performing on the Pacer Court before the game. If you are interested in purchasing tickets in our reserved section please contact Andris Berzins at 317-652-1781 or aberzins@indy.rr.com as the Latvian Community has already purchased 50 tickets to the event. If you have any questions please contact Andris Berzins. Thank you and Paldies and we hope to see you all on December 16.